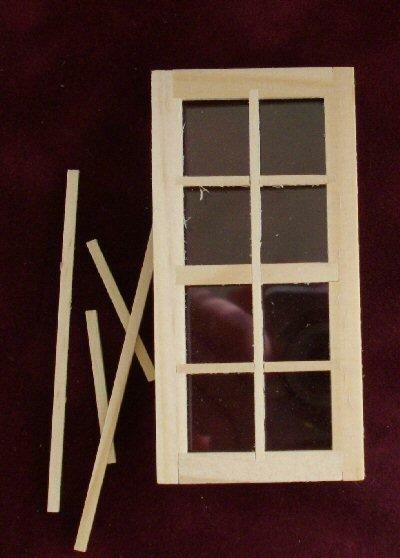 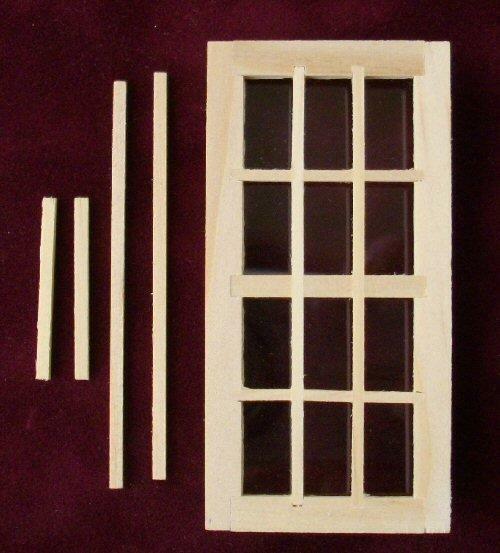 1/24th scale standard 8 light wood window, non opening. 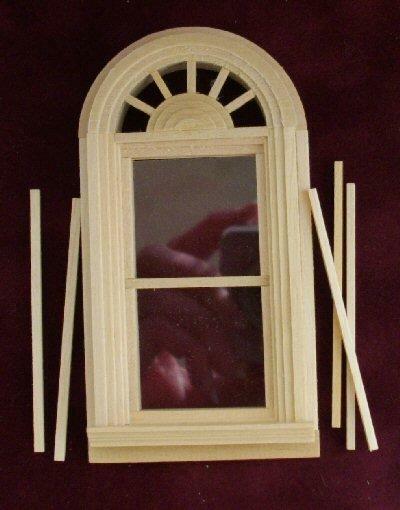 Includes wood trims and plastic "glass". 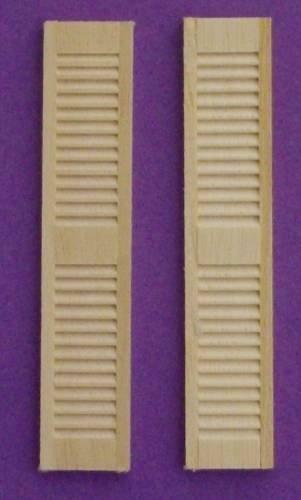 Overall size 73mm x 35mm. 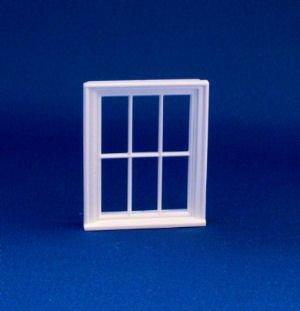 Size of opening needed 71mm x 32mm wide.